We expect a bit of downtime as we deploy these changes; probably 1-2 periods of server downtime lasting up to 30 minutes, sometime in the next day or so (downtime will be announced 20 minutes in advance on the alpha server). Players who presently have ongoing Arena runs, Armory Sessions, or Black Lab sessions may have these sessions affected by the changes. Existing rewards/inventories will not be affected. We will NOT be doing a complete reset of all unlockables yet; we will continue to test and monitor the Armory and Black Lab after these changes are deployed, and we plan on doing a single reward reset toward the end of the alpha period once we’re happy with everything. As our 2016 new year gift, we’re sending all players some free black cards so that they can try the new Black Lab! They will be available as soon as the update is deployed. 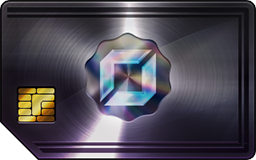 Players who earned rewards before the black lab was launched will also receive additional black cards in an amount commensurate with how many they would have earned during the months when the armory was available and the black lab was not. Full-day Q&A Stream this Thursday! We’re working on lots of great stuff that I’ll be discussing more in the upcoming weeks—animated skins, new units, additional balance changes, beginner features, the campaign, and more. We’ve received a lot of questions lately on a huge range of topics, so I’ve decided to host a full-day dev stream this Thursday at twitch.tv/lunarchstudios starting around 1pm EST. 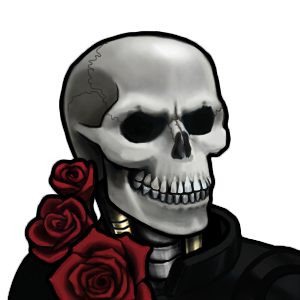 I’ll be answering questions all day while working on Prismata feature requests and fixes. It could become a weekly thing if it goes well! I hope this short update whets your appetite for some of the exciting things coming soon. Check back on Thursday for a longer update video, and I look forward to chatting with you on the Q&A stream! For now, I’m getting back to preparations for the new Black Lab launch, and crossing my fingers in hopes that it goes well! Last thing: don’t forget to check out our latest survey if you haven’t done so already! It can be completed in 5 minutes, though you can spend more time if you’d like.